The Lamborghini LM (Lamborghini Militari) was the net result of a multi-year contractual effort by Lamborghini to develop a high-speed offroad car suited for customs and border protection in the Kingdom of Saudi Arabia. At the end of the 1970s, the supercar maker, desperate for revenue, was the only company to end up responding formally to the government’s request that outlined a requirement for a multi-passenger, long range, high speed off road car suitable for covering vast distances in harsh desert terrain. Early 1980s prototypes of the LM featured a rear engine design that proved to be weighted too lightly in the front resulting in lack of track stability and a “light” front end that was difficult to steer. It was rumored that one test model flipped during desert testing as a result of the unbalanced weight distribution. 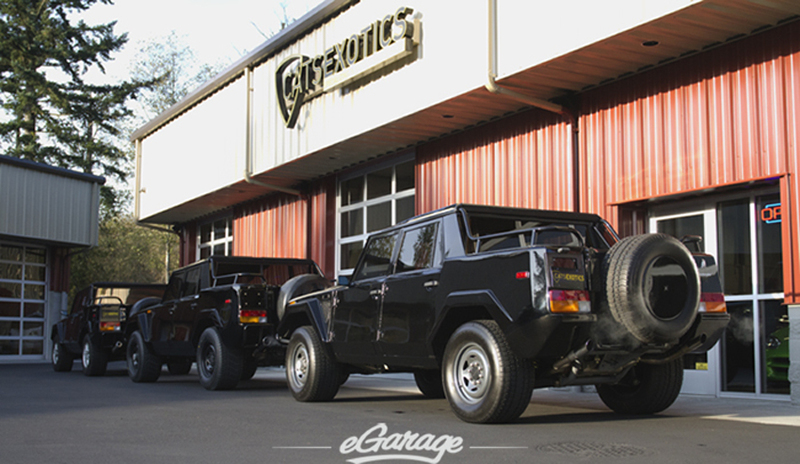 These early trials resulted in the production of the LMA (Lamborghini Militari Anteriore) a name that referred to the newly front mounted engine, which later formed the basis for the LM002. 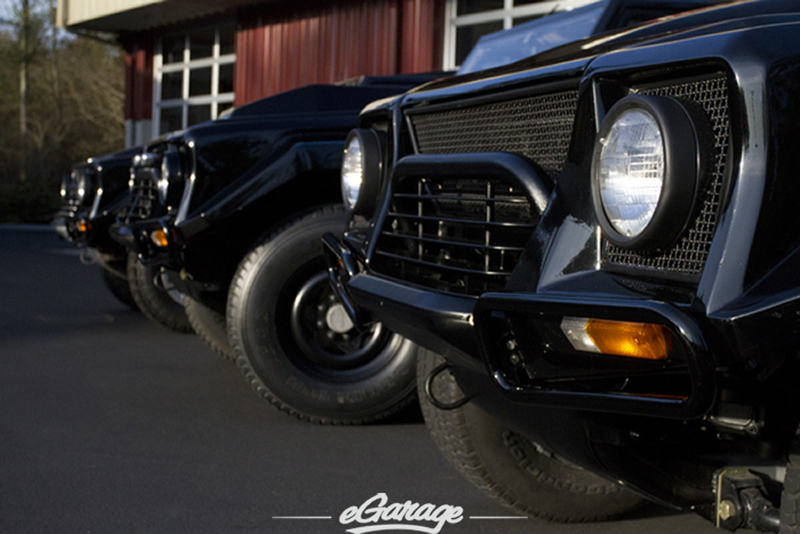 Contrary to popular belief, no military versions of the LM were produced outside of factory prototypes. A total of 301 LMs were built, less than 299 are on the road today the world over. To put this figure in perspective, the U.S. Government Department of Transportation lists a threshold of total production of 500 vehicles or less to be considered that of a “small volume manufacturer”. Thus, the LM achieves notoriety as being more of a consumer purchasable prototype than an actual production Lamborghini. 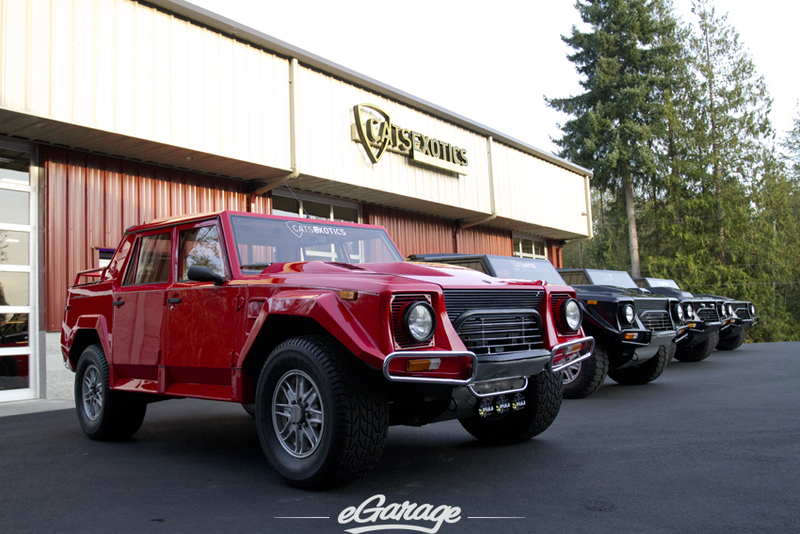 The decision to sell the LM002s to consumers was a financial decision by Lamborghini made to offset their significant losses- their investment and research and development efforts were never rewarded with a military contract or order agreement by a foreign government or military. The initial LMs that were offered for consumer sale in the mid 1980s were carbureted models featuring a prominent hood bulge that provided the necessary space for an aluminum air box housing 6 Weber Carburetors, mounted down draught. The first customer to take delivery of an LM was the politically astute King Hassan II of Morocco. 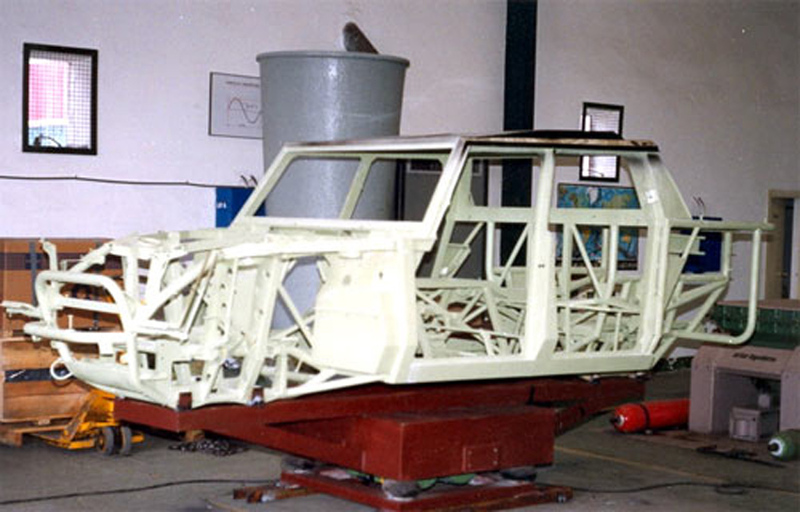 His LM002, painted gold, was delivered via C130 from the factory with Valentino Balboni, Chief Test Driver to Lamborghini and LM project manager, riding along to present the vehicle. The last 60 LMs produced were “American” models that featured the electronic fuel injected engine similar to what was fitted in the Diablo. The Lamborghini LIE injection system is often times more reliable than the carbureted system, however, it sacrifices the power of the carbureted motor and the delicious exhaust note. The “American” fuel injected versions can be distinguished easily from the earlier carbureted models as most are fitted with O.Z. Italy light alloy wheels, chrome bumper trim front and rear, a chrome slatted grill in place of the screened grill, and fiberglass rocker panel side skirts. A dual pinstripe just below the windows extending the length of the vehicle is the finishing touch found on most of the American model LMs. The author’s LM002 American was test driven by Valentino Balboni in February, 2007 in Fort Lauderdale, Florida. Balboni commented, “We wanted it to look ASTONISHING. 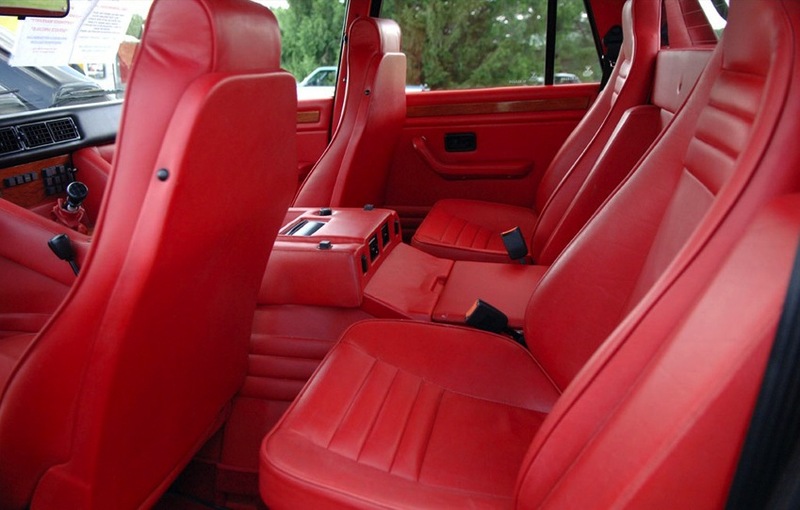 Nearly 30 years after it was first conceived, the design is still remarkably fresh, prompting many to inquire upon seeing the vehicle if it is “the new Lamborghini truck”. 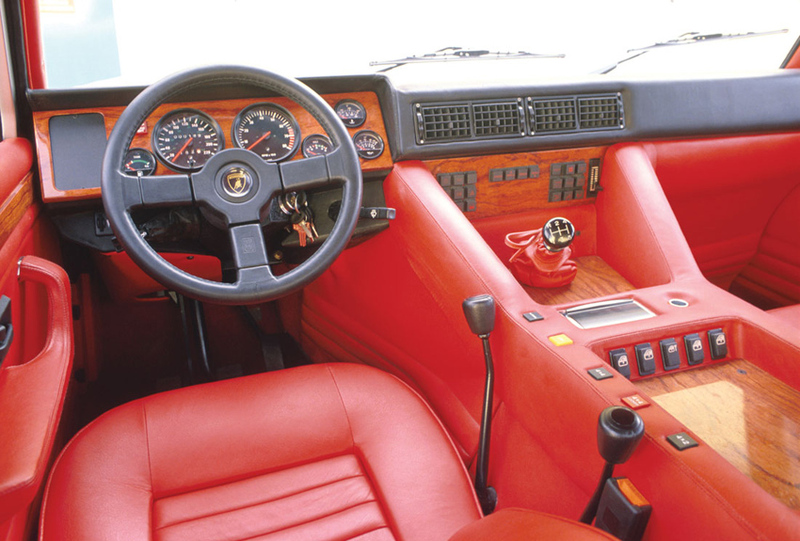 Sadly, almost no one realizes that Lamborghini was one of the first companies in the world to introduce a true SUV and that the design is 1980s vintage. Unlike a Hummer H1, the LM002 seems to draw no resentment while wildly drawing attention from all walks of life. 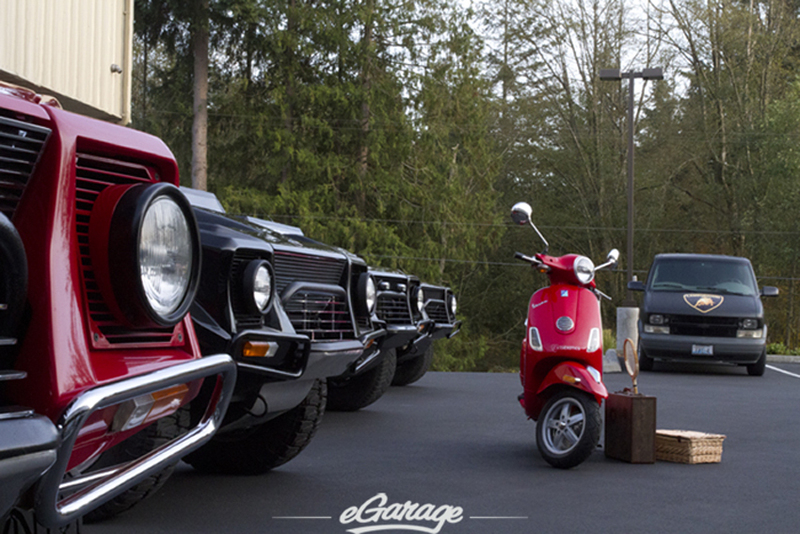 Operating an LM002 is not without typical pre-Audi involvement Lamborghini fanfare. Sliding into the Connolly leather lined cockpit, you first notice that the proper driving position squares you to the pedals (unlike Italian Lamborghini sports cars) and that the high back bucket seat needs to be placed vertical, at a 90 degree angle, so you can exert proper control over the pedals. Pressing the clutch in and dropping the gear shift lever down into neutral as is recommended by Lamborghini during the start procedure, you realize that the clutch takes a whopping 40 pounds to engage and is one of the heaviest in the world to operate. Accessing the ignition is equally challenging as the windshield wiper stalks are on one side of the wheel and the turn indicator stalk on the other. The best way to access the ignition is by reaching through the bottom gap on the 3 spoke Nardi steering wheel. After starting the engine, and observing the dog-leg first gear position, you realize that the monster comes to life after 40 miles per hour. The controls are very heavy and require muscle at speeds under this – a result of 345 section tires front and rear. But over rough roads and at speed, the LM002 really shines. 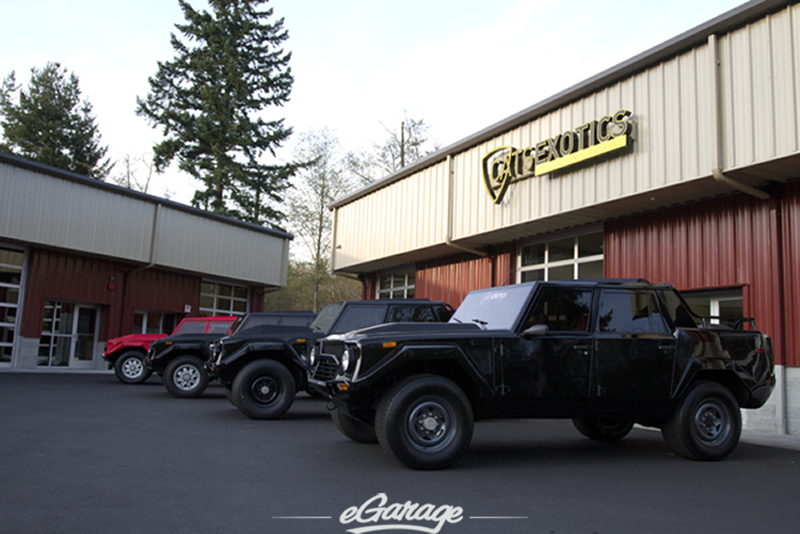 Speed bumps and potholes do not jostle the occupants and the chassis and suspension are light years ahead of typical off road vehicles such as the Hummer H1, Mercedes G-Class, Toyota Landcruiser, and Range Rover. The LM body is also very unique and is built much like a Countach. Of tubular steel construction, it appears to be the culmination of a dune buggy sized proper race car frame. Not well known and seldom seen today, the LM is proof of the engineering genius that has driven Lamborghini since its inception. The emotional “art” present in the preceding Lamborghini motor cars was translated into a rolling steel, aluminum and fiberglass sculpture capable of providing special feelings and one of a kind speed, though this time at 120 miles an hour through sand. 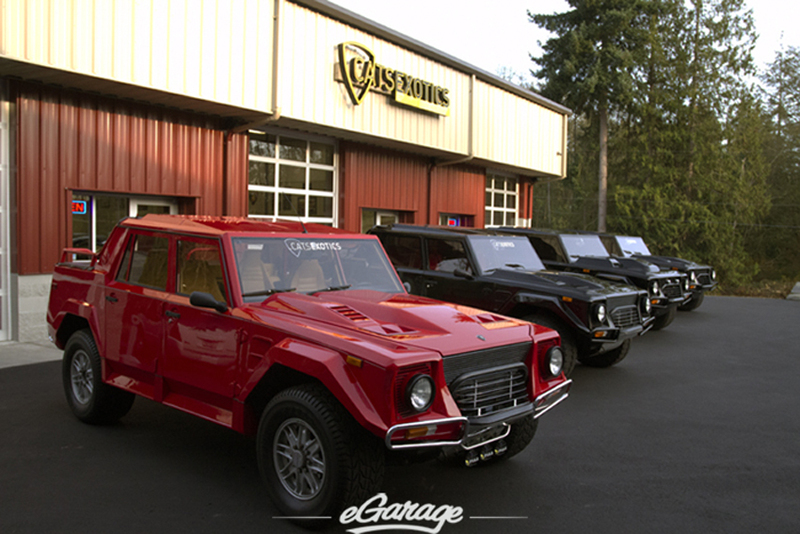 You can find the largest selection in one place of the LM002 at our sponsor Cats Exotics.